Prepare to kiss New York Fashion Week as you know it goodbye because there are about to be major changes. We already know that the event will be moving out of Lincoln Center after the February 2015 shows, where it has been held since 2010. But the move to a new location isn’t the only thing that’s going to be different about Fashion Week come September. 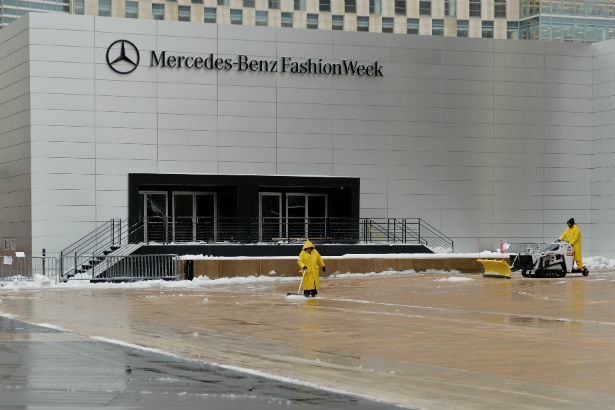 Mercedes-Benz has announced that it will no longer fund the event, which currently bears the car company’s name; it will just be called New York Fashion Week. Mercedes-Benz says it will still continue to support fashionable endeavors, however, noting that it sponsors Fashion Weeks overseas. In addition, WWD says that IMG is wrapping up acquisition talks with the folks behind competitor Made Fashion Week, which should take effect for the Spring 2016 collections. We’re unsure as to where New York Fashion Week will be held next season, as IMG is negotiating locations, but there are rumors that it could be held in a number of downtown spots. Eventually, the event is expected to move to the Culture Shed, a new location being built at Hudson Yards scheduled for completion in 2017.